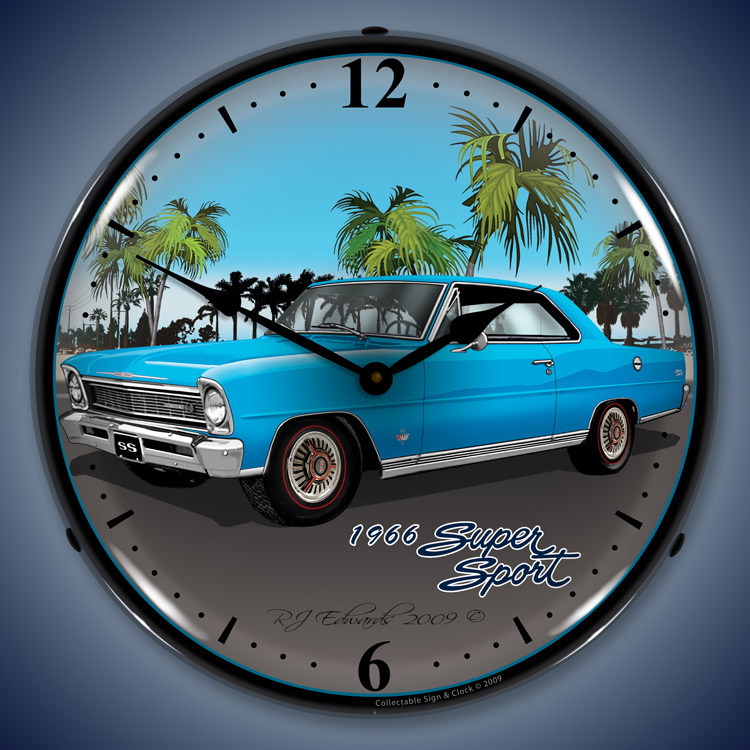 If you�re looking to bank on the vintage trend, look no further than our beautiful backlit Chevy Nova clocks. 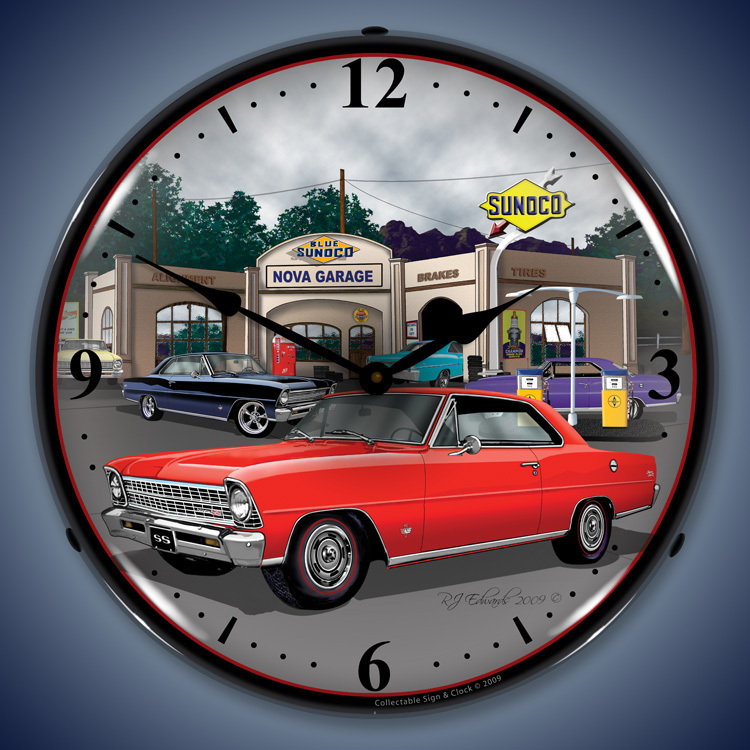 These pieces fill rooms with nostalgia and pride in one of Chevy�s top-selling models back in the day. The classic Chevy Nova�s first generation was rolled out in 1962. 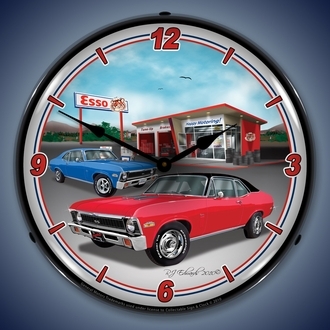 The car�s models aged well with gorgeous re-styling in both its second and third generations, which we feature in our set of Nova wall clocks. The Nova was hailed by car experts as a no-nonsense, well-engineered car with simple elegance and substantial performance. Since then the Nova has remained a classic car buff�s favorite. 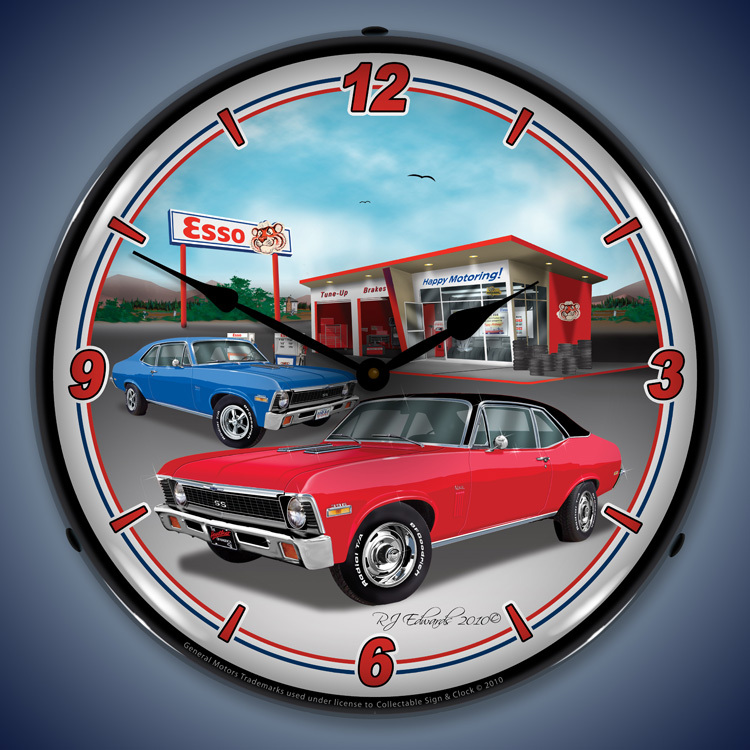 Our Chevy Nova clocks highlight this beautiful car in 4 different models to embody the variety of character these beauties have. The 1966 Nova is featured in a bright blue color against an idyllic palm tree backdrop, while older models of the Nova (from 1967 and 1970) are featured in an iconic red against car garages and gas stations representative of the time period. We also offer a 1966 Jenkins Nova in red, with writing on the car body that pays homage to the famous drag racer and engine builder Bill Jenkins. Jenkins went on to win thirteen National Hot Rod Association (NHRA) events between 1965 and 1975 and has been inducted into multiple motorsports halls of fame for his achievements. Every image used was meticulously reproduced by using a CNC router in order to preserve every detail. 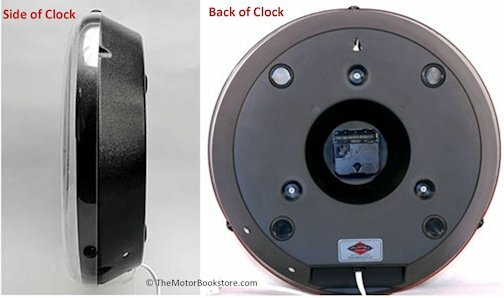 The U.S. manufacturer takes great care to avoid distorting the image and uses a special UV-dried, computer-controlled printer, ensuring a high quality product as detailed as the original that will hold up for years. 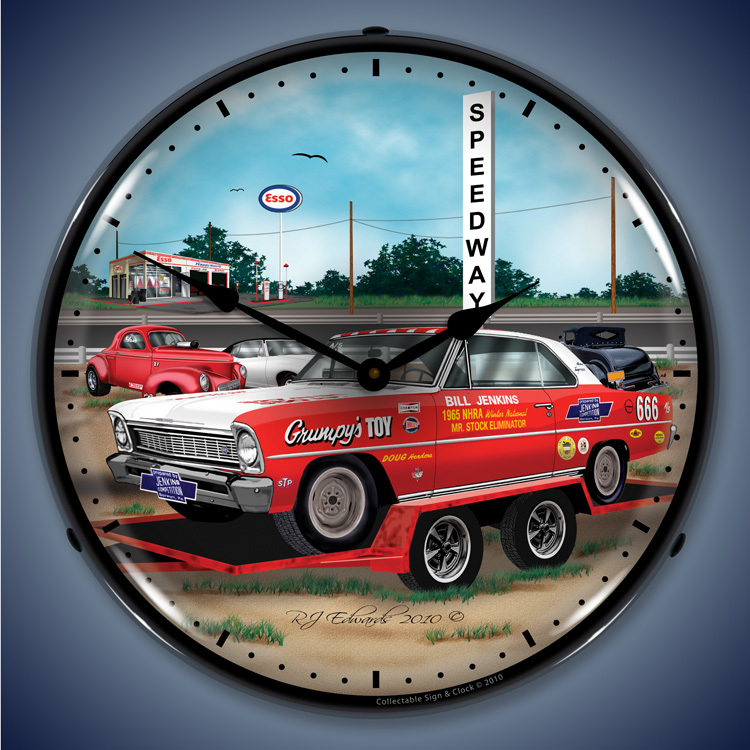 Whether you choose to honor Jenkins with the Nova clock dedicated to him, or keep it simple with the other classic Chevy Nova clocks, any of these pieces would be perfect in a car lover�s garage, man cave, or elsewhere in a house that embodies timeless American vibes.